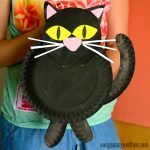 It’s time to get crafty with paper plates again and as Halloween is near we decided to make a paper plate black cat (though these would be fun in any kitty colors)! 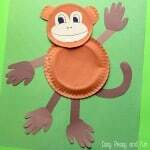 We’ve made a bunch of paper plate animal crafts already, as well animal crafts are always fun and this is one frugal crafting material! 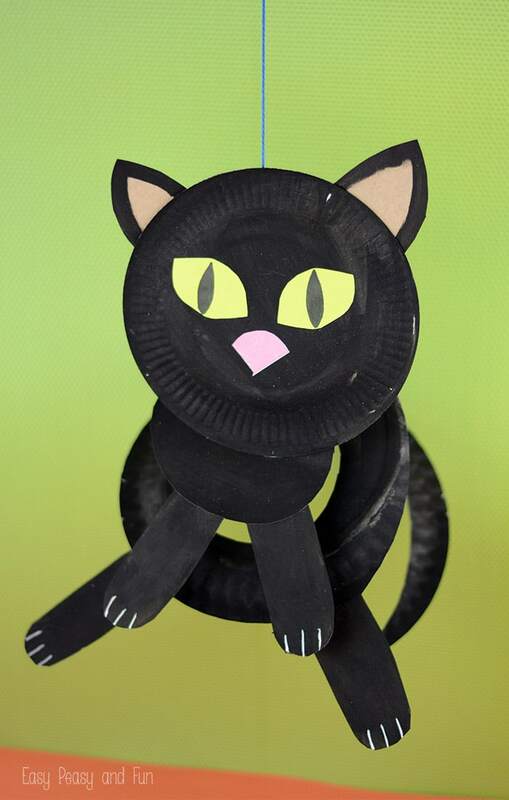 This is a perfect Halloween craft for kids, you can even add a witches hat to make it look even cooler! 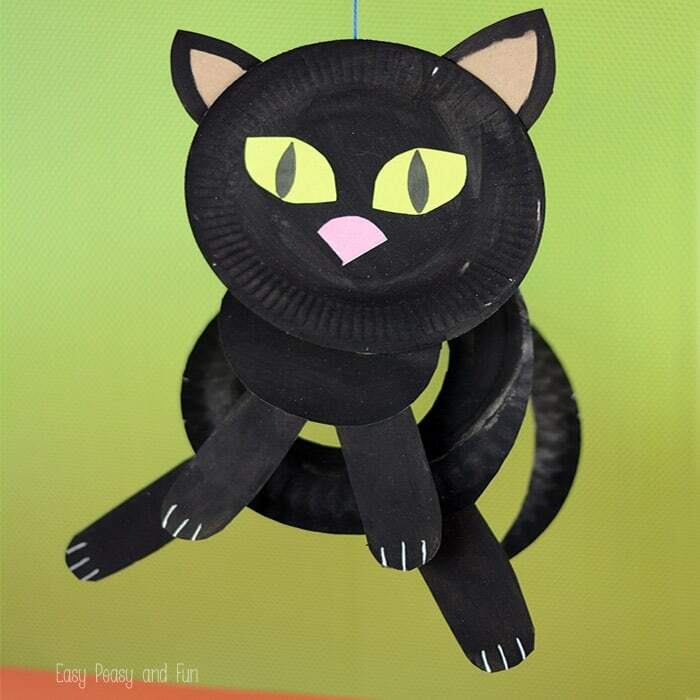 Plus as this one will twist and turn if hanged it also makes a fun classroom or home decoration for Halloween! Color the plates black. 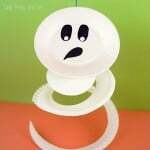 Cut the larger one – make a swirl. Cut the 4 paws and two ears from the cardboard. Color them black (only color the edges with the ears). Cut eyes and snout and glue them onto the head. Glue the ears onto the head. Glue the head to the center of the swirl. Glue the paws along the swirl. 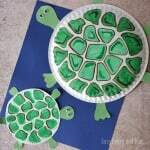 With a silver gel pen (or white color) draw the claws and whisks. Meow ;). 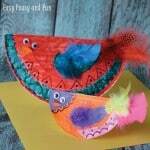 Want another swirly fun project? 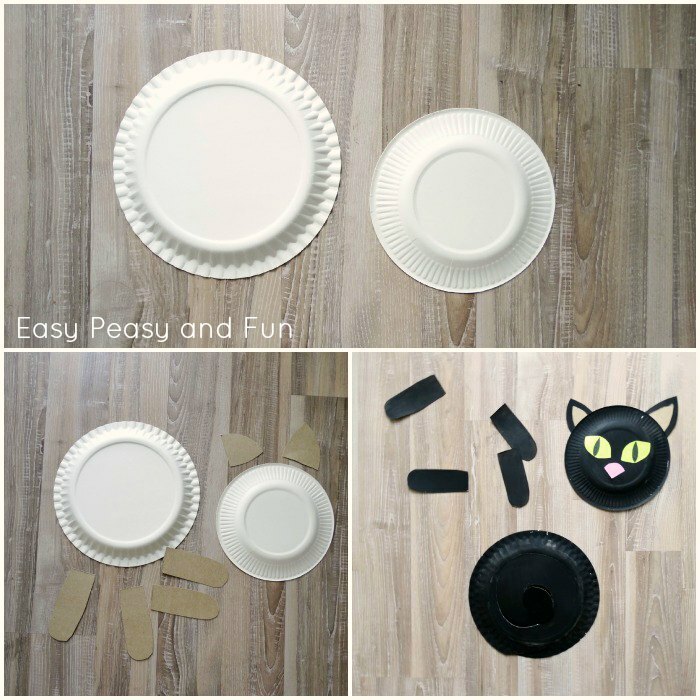 Why not make this paper plate fox! 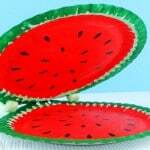 Want something more fierce – make this fun looking paper plate alligator craft.